Selling produce and small fruits before or after traditionally produced local crops usually commands higher prices. Think of what you pay for produce in the store during the "off-season" and what you pay for the same things during the traditional, local "in-season." You almost always pay higher prices early and later, or when produce is delivered from non-local sources. Capturing these higher prices with season extension can be something to strive for with your own operation. Your customers will appreciate having these products from a local source instead of purchasing products from non-local sources. It may be too late to consider season extension for your small fruit and vegetable operation for this spring, however, planning now for fall season extension may still pay dividends for this crop year. There are several methods to extend your growing and marketing seasons for this year. These include row covers, high tunnels, and greenhouses. Row covers are traditionally used during the early spring months to "push" the plants to flowers and produce earlier than without row covers. These may be the least expensive and easiest to use since they are installed in the field but are usually removed during the morning hours to allow the soil to warm. 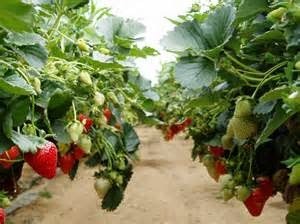 If used for strawberries for example, you may be able to begin harvest one to three weeks ahead of producers not using this method, allowing you to market earlier and capture the early season market. Prices can be as much as 10% to 20% higher which usually offsets the additional costs. 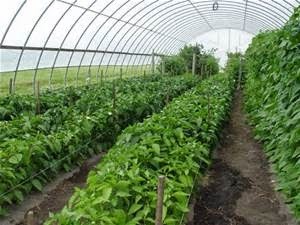 High tunnels can be heated or not heated. If using a heating system, you will be able to plant earlier than without additional heat and remain in production later in the season. The earlier you plant, the earlier you can produce and market. Tomatoes and peppers are common crops produced in high tunnels for spring and fall, but you can produce these crops and greens later into fall and capture the locally grown, late season prices for your production. For example, early season tomatoes may sell for $15-$40 per box as opposed to $10-$20 per box during periods when other producers are harvesting field grown tomatoes. I know one grower who produces strawberries into September and October in his high tunnel. I asked him what price he can expect for locally grown strawberries in October. His answer was "Whatever I want." This marketing strategy has worked very well for his operation. Greenhouses may be used to start plants in early spring to reduce the cost of purchasing plants on the open market. You can also produce more plants than you need for your operation and sell the excess to other producers or your customers at farmers' markets. 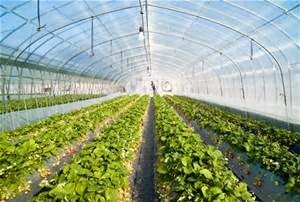 Greenhouses will also extend the harvest through the fall and beyond as long as you can produce the crop(s) and still remain profitable even when including heating costs. You will need to track all costs and keep your budgets up to date to be sure you still maintain the profit margin you desire. I know this is a busy time of year, but you can still have a tunnel installed in time for fall use. You should determine if you can market the additional production and what prices you may receive. The research may expose an additional marketing opportunity for your operation and result in additional income and profit for the year.